Abbey Road studios in central London has seen concerts and recordings aplenty since it was immortalized by The Beatles in 1969. But there has never been anything quite like the event that took place in April 2014. The small town near Ry, where Maria Jacobsen was born. It was here that she learnt about the Genocide. The Bird’s Nest orphanage, where Vartan grew up, was established in 1928. Where Vartan first recorded Drake’s Passage. Vartan’s first job in England was singing Tom Jones covers in pubs around Skegness. That day, a man who became a refugee and lived in orphanages and on the streets of Beirut for the first 26 years of his life took to the podium to record his own symphony with the Royal Philharmonic Orchestra (RPO). “It took decades to write the work, but that’s OK because it’s really the story of a lifetime - my lifetime and that of so many other Armenians,” says Vartan Melkonian. “Farewell to Maria” is the second movement of the symphony and his way of saying “thank you” to the only mother he ever knew. Melkonian’s grandparents were murdered in the Armenian Genocide, but their children, his mother and father, made it to the safety of orphanages in Armenia and the Middle East. 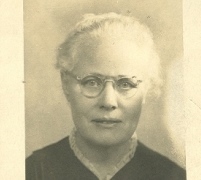 After his mother died, he and his brother and three sisters were brought up in an orphanage in Beirut run by a Danish missionary called Maria Jacobsen. He wrote “Farewell to Maria” after Jacobsen's death in 1960. I listened to Maria’s vinyl LP records in the orphanage on one of those old-fashioned gramophones with the giant horn. Melkonian’s family hailed from the city of Mush, near Van, back in what was then Armenia but is now in Turkey. He recalls his late father, Moses, telling him how, as a six-year-old boy, he saw his parents rounded up and taken away by Ottoman soldiers. Neither was seen again and there is no record of what happened to them. Moses was placed in an orphanage by an organization called Near East Relief and later transported to a refugee camp in Beirut. It was there in around 1940 that he met, fell in love with and married another orphan, Haiganoush. Vartan was born a few years later. Haiganoush died of plague when Vartan was only four years old. Moses was grief-stricken and could not care for his children. So, Vartan and his brother and sisters went to live in the Bird’s Nest orphanage, in Byblos, 35 miles north of Beirut. They lost touch with Moses. If Maria Jacobsen saved Melkonian’s life, it was music that made his life. After hearing his first classical music on Jacobsen’s gramophone, he acquired a guitar and taught himself how to play. He soon got a permanent residency at a London club called Talk of the Town in Leicester Square and the Celebrity nightclub in Bond Street. He appeared in ITV’s New Faces, the X-Factor-style talent show of the day. One night in Celebrity he met two Omani princes and he persuaded them to commission him to record a piece with the Royal Philharmonic Orchestra.